As the saying goes, “April showers bring May flowers”, but in Los Angeles that saying rarely applies. Here we are in the beginning of May, ready to enjoy the spring weather. 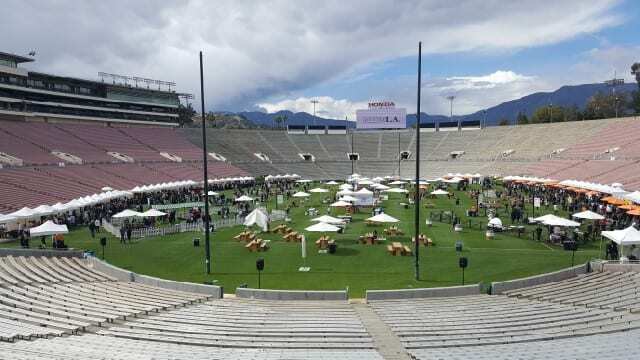 But, last weekend, while the sun was shining, the clouds were grey and the rain was looming as the 2nd Annual Masters of Taste LA was getting ready to start. As we entered the iconic Rose Bowl in Pasadena, we were ready, just in case, and we had our rain jackets and umbrella.